RANGERS shared the spoils with Aston Villa in a topsy-turvy New Year’s Day clash at Villa Park. Despite trailing to a 21st-minute Tammy Abraham strike, Luke Freeman’s firecracker four minutes before the break meant the R’s went in at half-time level. Steve McClaren’s side then took the lead in the 57th minute, with Ebere Eze finishing in devastating fashion following a free-flowing QPR move. Honours would eventually end even, however, with Abraham’s second goal of the match in the 75th minute making it 2-2 – which is how this entertaining Sky Bet Championship affair finished. After Saturday’s 0-0 home draw with Reading, Rangers boss McClaren opted for an unchanged starting XI for our opening match of 2019. Following his recall from a loan spell at Rotherham United, Ryan Manning was named among the QPR substitutes. In a 4-4-1-1 formation, the Super Hoops lined up as: Joe Lumley; Darnell Furlong, Toni Leistner (captain), Joel Lynch, Jake Bidwell; Pawel Wszolek, Jordan Cousins, Josh Scowen, Freeman; Eze; Nahki Wells. When the game got underway, Villa enjoyed the better of the possession in the opening stages. In the fifth minute, home centre-half James Chester hacked an effort over from 10 yards while, four minutes later, Abraham spurned an even-better opportunity for the hosts – denied by a sprawling Lumley save once slipped through on goal by Albert Adomah. Villa edged ever closer on 20 minutes, with John McGinn striking the crossbar with a stinging shot from the edge of the box, before the hosts eventually made their early pressure count a minute later. McGinn’s ball in from the right saw Abraham get the better of Leistner, ahead of the Villa striker heading beyond Lumley from close range. Disappointment for the R’s – but the first goal of the contest led to vast improvement from the visitors. In the 25th minute, Rangers’ best move of the match so far saw Scowen and Furlong combine to pick out Freeman, whose subsequent box effort was blocked by Tommy Elphick on six yards. Then six minutes later, the R’s threatened again. This time, Wszolek’s right-flank centre picked out Eze on 12 yards, with the playmaker shooting over – albeit on the stretch. McClaren’s men would be rewarded for their own period of pressure, though, with Freeman’s stunning solo attempt firing the Hoops level four minutes from half-time. The former Bristol City man took control of Wells’ pass into him midway into the Villa half, advancing to around 25 yards from goal before unleashing an unstoppable effort into the top right-hand corner of the net. It may have been a slow start, but Rangers were now deservedly on terms ahead of the second half. 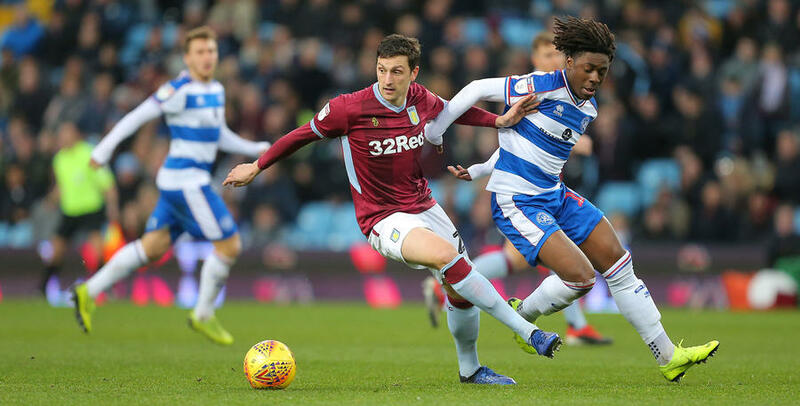 Into the closing period, and there was a spell of worry for the R’s when goalkeeper Lumley clashed with Jonathan Kodjia in the 48th minute, and was subsequently down injured for a prolonged period while receiving treatment. Thankfully, despite blood visibly rushing from his nose, the visiting custodian was eventually patched up, with play resuming six minutes later. Back intact, Rangers then forged ahead thanks to a wonderfully-worked team goal in the 57th minute. The R’s raced forward with real pace and, when Freeman picked out Wszolek down the right, his measured pull-back was clinically buried by Eze from 12 yards. Villa responded by making a double change, with Yannick Bolasie and Anwar Al Ghazi replacing Adomah and Kodjia, before Rangers survived a 65th-minute goalmouth scramble from a home corner kick. A close shave for the R’s, who were next to go close following patient approach play in the 69th minute. Freeman’s low effort was held by Jed Steer. 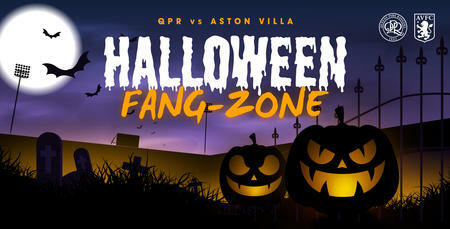 The next goal would fall Villa’s way, however, as the home side struck again 15 minutes from time to make it 2-2. Abraham was on target again, sliding home from close range for his ninth goal in five Championship outings. A grandstand finale awaited. Hosts Villa proceeded to apply some added pressure thereafter, but it was Rangers who almost added a fifth goal of the contest in the 86th minute. Eze was slipped in by Freeman, then saw his low drive force a strong one-handed stop from Steer. Owing to Lumley’s earlier injury and treatment, some 11 minutes of second-half stoppage time were added on at the death. And Villa continued to threaten, with substitute Bolasie heading over in the 93rd minute - and McGinn shooting straight at Lumley in the 95th. However, despite the lengthy period of injury time, there were no further goals at Villa Park. 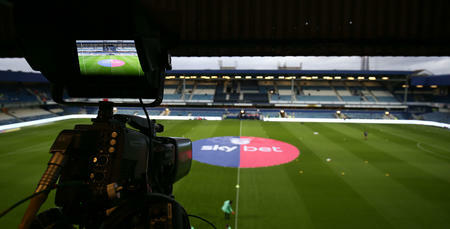 What TV channel is QPR v Aston Villa on?